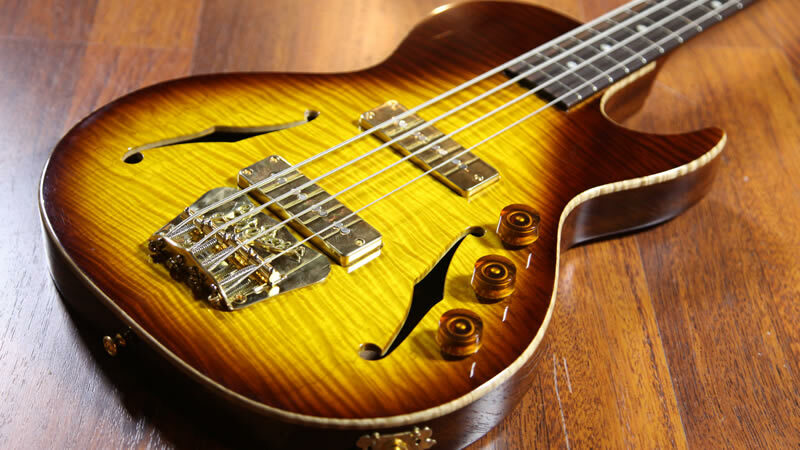 Tel Aviv, Israel – January 21, 2016 – (GuitarPR) – B&G Handmade Guitars has introduced the Big Sister 4-string bass. This follows the hugely successful launch of the Little Sister guitar in April, 2015, which enjoyed amazing feedback, including the “Gear of the Year 2015 Highly Commended” award by Guitar & Bass magazine. With the Big Sister birth, B&G applied the same traditional materials and techniques used with Little Sister – a unique chambered body design and 50’s nitro finish. The Big Sister is designed to offer supreme playability, rich sound and versatility. Together with its unique looks and light weight, the Big Sister stands out as a beautiful working instrument that can fit in the toolbox of any musical genre. On stage, at home or in the studio, the Big Sister was built to leave a mark. For more information on the Big Sister, visit http://bngguitars.com/big-sister. Based in Tel Aviv, Israel, B&G was founded by Eliran Barashi & Yotam (Kiki) Goldstein, skillful and expert luthiers in the field of vintage guitars from the golden era, and Avi Goldfinger – an artist and entrepreneur. They are devoted to one thing only – creating the best sounding instruments on the market.